Now there’s a better way to track service work. 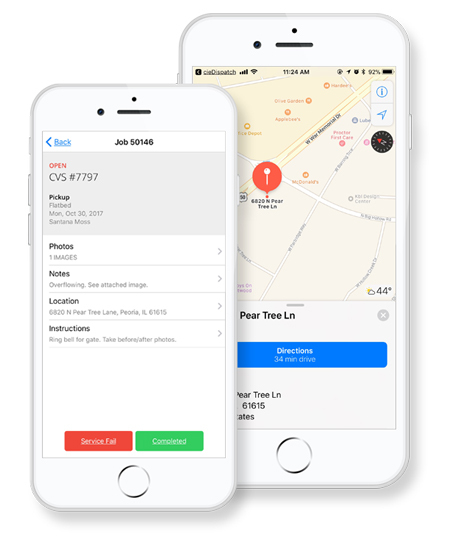 A FREE mobile app that lets your drivers retrieve a list of assigned tickets, get directions to service locations, update job status, record notes, and even capture photos. Information is instantly updated in your existing cieTrade account, saving time and making it easier to manage services while eliminating double-entry. Eliminates paper dispatch sheets, allowing your drivers to instantly access all of their assigned service calls, see site instructions, and get turn-by-turn directions right from their own mobile device. Lets your drivers easily capture equipment or site photos, write comments, or explanations of failed services while on location, making it easier for dispatchers to manage and track activity. Connectivity with your cieTrade account means that the ticket status is updated in real-time and the drivers notes or photos are instantly updated with each dispatch ticket, eliminating manual updates and double-entry of data.